Jhampa Kalsang, Ph.D., graduated in 1989 from the Tibetan Medical and Astrological Institute of H.H. the Dalai Lama, in Dharamasala, India. He completed a full course of study and six years of t raining in Tibetan studies with an emphasis on traditional Tibetan astronomy, astrology, medical astrology and Buddhist philosophy. He has been on the staff of Tibetan Medical and Astrological Institute and was one of their senior lecturers. Mr. Kalsang has spent the last ten years teaching, lecturing and attending conferences in America, Australia, Argentina, Bulgaria, Italy, France, Germany and Spain. He is a co-author of Tibetan Astronomy & Astrology and has published his book titled, Tibetan Astro Science. 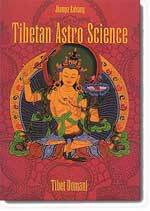 This text’s contents explain Tibetan astronomy and elemental astrology and the root of Tibetan Astro-Sciences. 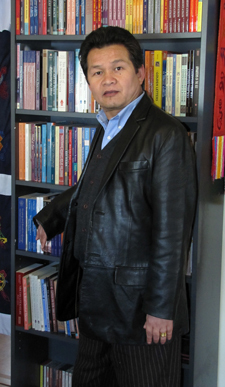 He is one of the first traditional Tibetan professional Astro-Science practitioners in the West. Because of his extensive and intimate interactions with Westerners he is able to relate to and has a deep understanding of the Western culture and its social and psychological mores. Mr. Kalsang resides in San Diego, California where he has opened the Tibet Gift House, offering Tibetan products, classes and readings. He has a private astrology practice and travels throughout the world to lecture and teach.